Cloudflare is bucking the trend of revealing a fake product on April Fool’s day by actually releasing a new VPN service designed to be as fast or even faster than a traditional mobile connection. Virtual Private Networks (VPNs) have grown increasingly popular among consumers and businesses as they help keep your data private and your connection secure. However, since traffic from your device goes through someone else’s servers before reaching the web, VPNs generally tend to slow down your network connection. Cloudflare has found a way around this by incorporating Google’s QUIC protocol into its new mobile-only VPN, Warp. 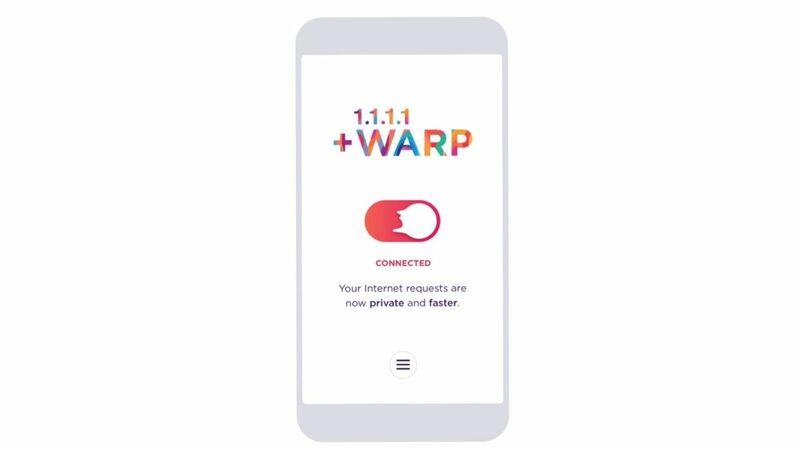 Mobile users can sign up for the new service, dubbed Warp, through Cloudflare’s mobile app 1.1.1.1 beginning today but it could take a few days to become operational. Cloudflare has 165 data centers in 76 countries and Warp will rely on this same network of servers. The new service will also make it easier for the company’s customers to access their data as it is already cached on its servers.